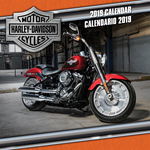 FastDates.com Motorcycle & Pinup Model Calendar Corner - Sports Illustrated Swimsuit Calendar, Offical Harley-Davidson Calendars and More! Past Edition FastDates.com Calendars are available from FastDates.com in Collectors Corner. 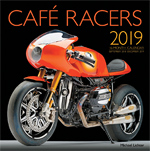 Go with us on the photo shoots at World Superbike, meet the Calendar Kitttens, the top factory racers and bike builders, see photo features on the top calendar and race bikes. Travel up the Pacific Coast highway with Czech SBK Fast Date Calendar Kittens Jitka and petra to Laguna Seca World Superbike to shoot with all the top factory race bikes. Then follow them to the LA Calendar Motorcyel Show to shoot with the world's top custom bikes.. Hang with beautiful teen rock star Taylor Momsen of the Pretty Reckless. Did we forget anything? - Oh yes, see every page in the new 2014 Fast Dates, Garage Girls, Iron & lace Calendars! Go behind the scenes with Beautiful Calendar Kittens Jessica Harbour and Kelsey Silwinskishoot for the FastDates.com Motorcycle PinUp Calendars with photographer Jim Gianatsis. All the photos from the World's most expensively produced and exclusive model calendar! Bikes  Babes  Builders Books  Racing News Videos Find it Fast! So naughty and so nice! All the photos from the World's most expensively produced and exclusive calendar!